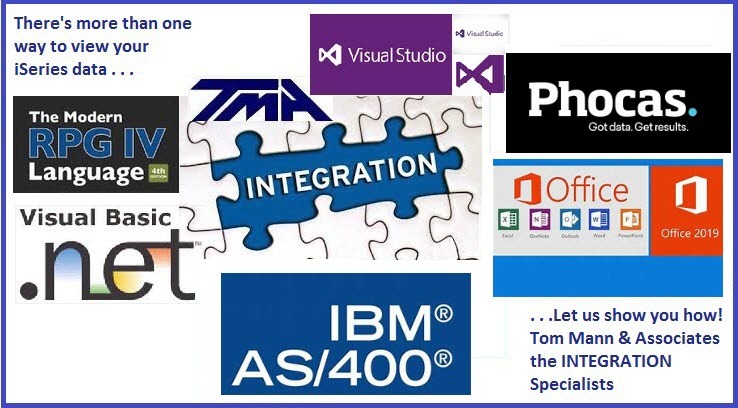 TMA is a professional business software consulting organization and software developer. We support many Financial, Distribution, Manufacturing, or ERP applications with our specialty being PRMS software running on IBM's AS400 (iSeries). We are business professionals with extensive technical skills. Our business experience spans accounting, distribution, manufacturing, and supply chain. Our technical expertise applies to the iSeries, Sequel Servers, and Desktop PC’s with a toolkit including RPGLE and VB.NET. We have our own line of generic and custom Windows VB.NET desktop applications built over iSeries and MS-Sequel Server data. With these, we provide graphical interfaces featuring drill-down inquires, reports, dashboards, and exports to Excel. Within our site, you will find detailed information on our support and services, our references and accomplishments, and the opportunity to try some of our windows desktop applications. We invite you to call and discuss your requirements. We offer a variety of IT services including new systems evaluations, project management, and implementation, application training, software design and development. As an owner of PRMS Software, you face specific problems that require specific support. We are the PRMS Experts and have been for over 30 years. We know dilemma you face with years of investment in a solid Business Enterprise solution, but without the vendor support and the enhancements needed to keep pace with today’s business demands. 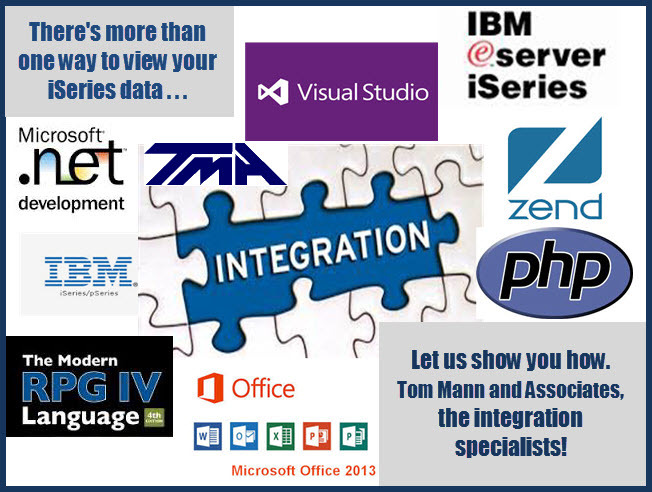 We are the PRMS solution you have been looking for. With our VB.Net Windows applications we can replace your green screens with modern graphical interfaces. Data Views include dashboards, grids, charts, and graphs with drill-down and Excel export capability. We also implement and support Phocas BI Software.